Offering chiropractic services in Mississauga for over 15 years! Dr. Ian Miller graduated from New York Chiropractic College in 1998 and has been operating in Meadowvale since 1999. Dr. Miller believes in a pro-active approach to maintaining good health. By using a combination of chiropractic, physical therapy modalities, specific muscle massage, and exercise, he encourages the patient to play an active role in their own treatment and well-being. Grossbeak Chiropractic and Rehabilitation is leading the way with its well-rounded approach to health care setting it apart from other Mississauga chiropractic clinics. 8 out of 10 Canadians will experience back pain at some point in their life. For many people, the pain can keep them from work, school, or even day-to-day activities. Back pain will often go away on its own, after two to six months. However, left untreated there is an 80% chance that your back pain will recur. Why suffer needlessly, or take the chance that the pain will come back? If you have back pain, early treatment from a chiropractor can help you get on with your busy life. » How Does Chiropractic Work? » Who Needs Chiropractic Treatments? » What Is Chiropractic Care? » Is Chiropractic Care Safe & Effective? » How Can I Achieve A Healthier Back? » What Can I Expect On My First Visit? vertebrae. They are all connected together by a complex network of tissue consisting of muscles, tendons, ligaments, nerves and cartilage. When aligned properly everything is working as it should. The spine supports your body weight, and protects your spinal cord. The spinal cord is the “highway” of the nervous system. In order for your body to function properly you need to have the spinal column aligned. If improperly aligned it causes stress, therefore causing pain, and discomfort.. Chiropractors are trained to find the problem in your back and assess the situation so that they may get your back properly aligned again. This is usually referred to as “joint manipulation” or less formally an “adjustment”. Joint manipulation is when the chiropractor applies a very quick, safe and precise amount of pressure directly on the problem area of the spine. The popping noise you commonly hear is from the separation of the joints which allows the gas air bubble to escape. This relieves the pressure on the joints and nerves which allows the spine to return to its proper alignment. Adjustments are not painful and most often provide immediate relief. There may be little or no discomfort during the process. If there is slight discomfort it lasts only a few seconds. WHAT IS CHIROPRACTIC CARE? Chiropractic considered the diagnosis, treatment and prevention of disorders that may arise on the spinal area. It is a drug free, highly skilled “hands on” treatment performed by professionals that are properly trained, where the main focus is on the source of the pain and not the symptoms. Canadian chiropractors are required to complete a minimum of three years of university education, followed by four years at an accredited chiropractic college. They receive 4500 hours of education. They are then required to pass both provincial and national exams before becoming a Doctor of Chiropractic. In this office we use principled, scientifically based adjustments done strictly by hand. IS CHIROPRACTIC CARE SAFE & EFFECTIVE? 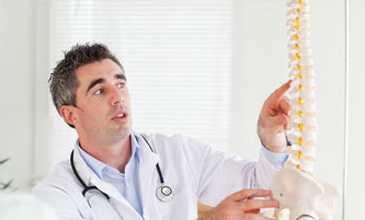 There has been extensive study in the chiropractic treatments to the effectiveness and the safety of the treatment. Chiropractors need to be absolutely sure that the treatment they provide is safe and effective. There have been no findings that show the risks outweigh the treatment benefit. The actual adjustment may cause slight discomfort at the time of the adjustment but this only lasts a few seconds.